In today’s music, many of the less common sounds you will hear on a recording, such as non-traditional instruments and sound effects, are created in a studio by a computer. This presents a challenge for bands to reproduce genres like pop accurately in a live setting. As a solution, Serenade of Souls uses sequencing to create the sound found in the original song. 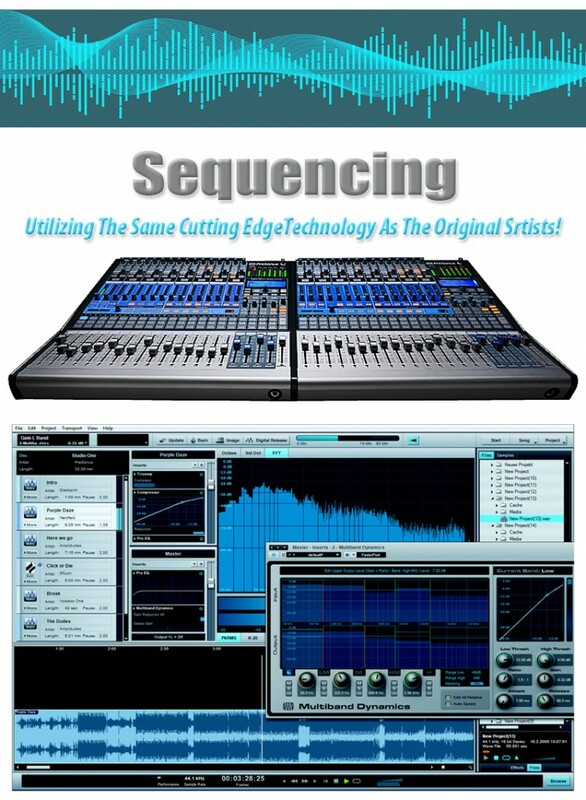 Sequencing means that we have computer play the sound from the original song at the specific time it occurs. Which means that our entire 8-piece band MUST play exactly in-time with a sequence! Why doesn’t every band do it!? Because it’s very difficult to do. Many bands will not undertake this exceptional challenge because it requires every song, every time, to be executed perfectly. Non-sequenced bands will even say “we are an all live band” in an attempt to downplay the importance of sequences or somehow imply that sequencing is not “live”. The opposite is actually true. Our 8 pc band of top-notch musicians and singers not only play instruments and sing on every song, we are “forced” to do so perfectly in time with a sequence that’s playing the sounds we’re not playing! The result is a song that sounds closer to the original than any 8 pc band NOT using sequencing could possibly create.